You might be familiar with the Quai Branly in Paris the first museum in the country dedicated to the Arts and Civilizations of Africa, Asia, Oceania and the Americas. Well this one is the second in France in this kind of museum. It is well-known and organize amazing exhibitions. More than that it is a research center, on so many different subjects. 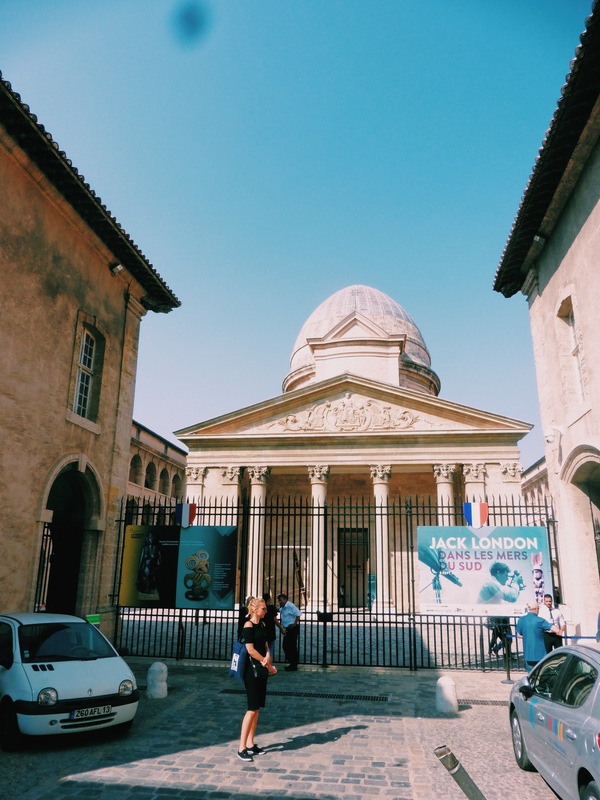 There are the museum of Mediterranean archeology, the museum of African, Oceanian and Amerindian arts, the international center for Poetry of Marseille and the phd center for EHESS (School of Advanced Studies in the Social Sciences. I know, crazy! If you are short on time, just go have a look for the incredible architecture. Built in 1640 it was dedicated to helping the beggars and designed bty the king’s architect. After the revolution and until the end of the 19th century it was turned into an hospice for children and elderly. Completely abandoned it was saved by the famous architect Le Corbusier from being destroyed and a huge restoration campaign began. 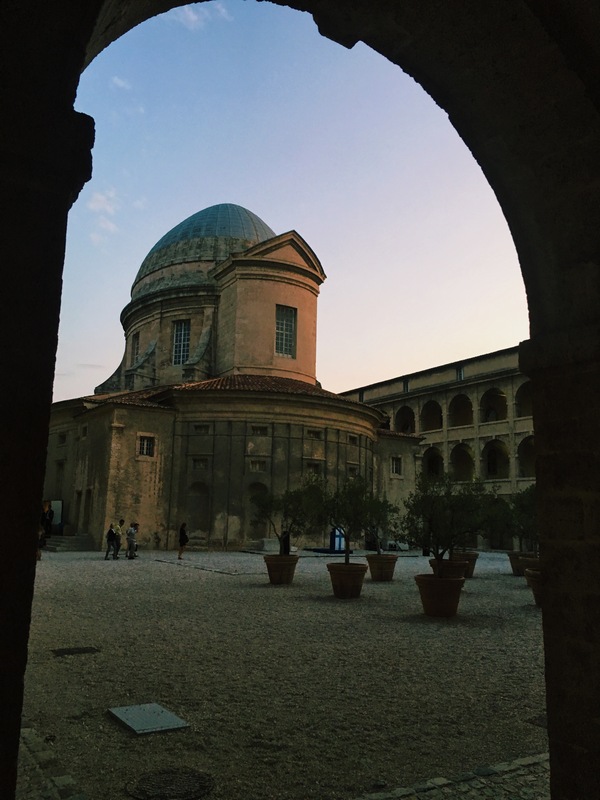 It was built in white and pink stone sourced from the region, at the center of the courtyard you can admire a chapel with an oval dome. TIP: They have a cute café in the courtyard looking over the chapel! Sweet spot to have a break between your visits and talk about the art you just saw. Created in 2013 when the city was elected European Capital of Culture it was designed by Rudy Ricciotti. Inside you will find a permanent collection on historical and cultural evolution in the Mediterranean basin. Again if you are short on time just go for the architecture. Same reason different era. Here the modern design fits incredibly in the ancient neigborhood. They added a platform on the sea to build the museum, which has the shape of a cube with a shell of intricate lace over it. The latter is actually made of fibre-reinforced concrete, which gives such a amazing view and color, totally different if you are looking in or looking out! 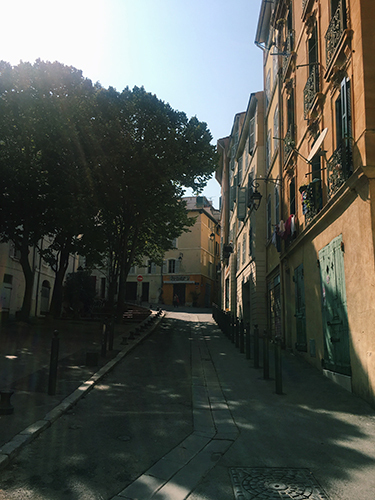 Take a stroll in this neighborhood, the modern and the ancient one called Fort-Saint-Jean. Enjoy how they designed everything around this museum, and that it fits seamlessly. You will stay there, sitting on a rock and looking over the sea. Or you might enjoy a sit-down meal? Head to top of the museum to enjoy a beautiful view of Marseille, there are two options for you. The restaurant at the top of the museum, fancy, pricy or take the little bridge and discover a cute café on the other side. Very good and more affordable, my kinda spot. Go to the museum’s website to check their programming. Just a few steps away from the MUCEM discover contemporary art exhibitons organized by the museum. Artists invited, sometimes in residencies, present their work. Check out the museum programming to see what’s on when you are there! When I was, I saw new artworks created by artists based on the time they spent in the storage room of the museum. Go to the museum’s website to check if a contemporary art expo is on! Get lost in the pretty streets of the historical neighborhood. You can enjoy a walk while learning about the city’s history. 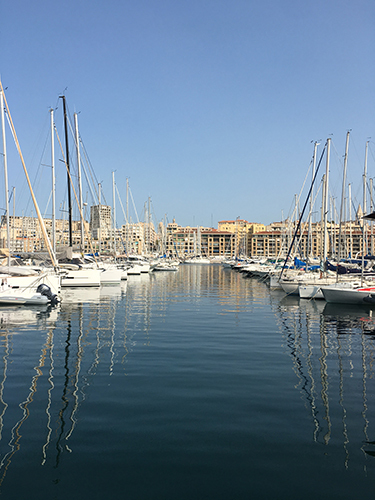 Marseille is quite important to France’s History as it is the first port when people arrive from the Mediterranean sea. The Panier is the oldest place in Marseille, you can’t miss it! There are several itinireraries of walks you can take. 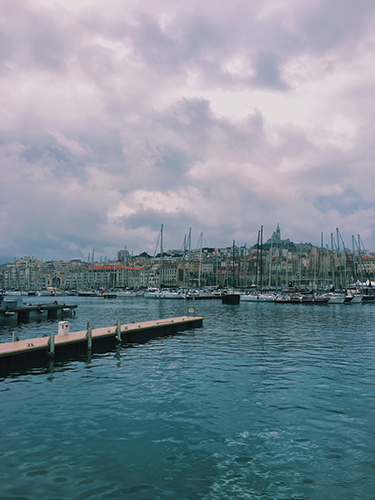 Starting from the Vieux Port and going to the Mucem while passing by the Vieille Charité. If you want someone to guide you can book an English-speaking tour! TIP: Like they say pretty much everywhere, what matters most? LOCATION, LOCATION, LOCATION! Get a hotel with a great location! Stay at the Vieux Port, center city, leave the car in the underground parking and enjoy the city by walking. A great place is Staycity, they are a hotel-apartment style, very affordable, nice staff and rooms with cute balconies for an outdoors breakfast. Check them out here. I hope I will be back in Marseille this year, so I can check out all the amazing contemporary art places that were recommended to me! You have waited for it and you got through the post, yay for you! 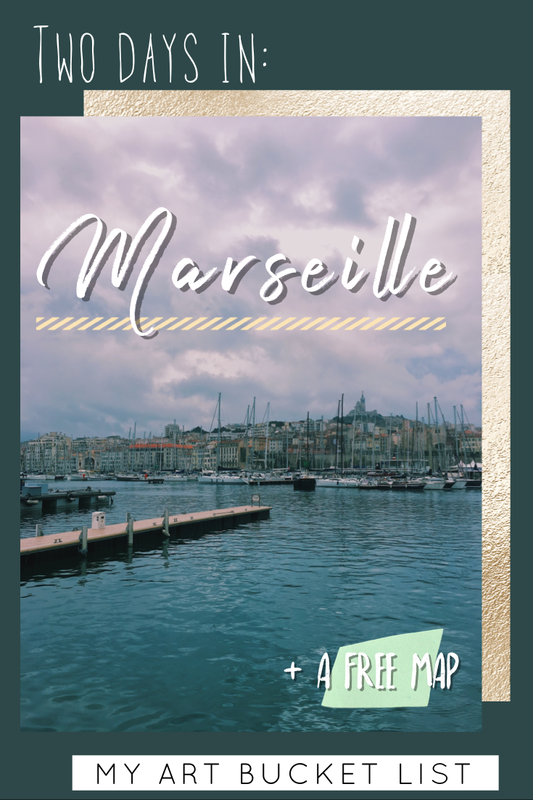 Here are my recommendations on where to eat & where to go in Marseille! Did you know about these places?